Boasting almost 300 cabin rentals in Gatlinburg and Pigeon Forge – ranging from 1 to 14 bedrooms – Cabins For You truly has something for everyone. Our friendly and professional staff offer superior customer service, and our cabins boast amenities like private indoor pools, rec rooms, stunning mountain views, wireless Internet, pet-friendly properties, and private home theaters. You can enjoy meals in your fully equipped kitchen, rock on your covered deck while enjoying the views, soak in your private hot tub, and enjoy a memorable escape. Once you book with us, it will be easy to see why we served 20,000 vacations last year! 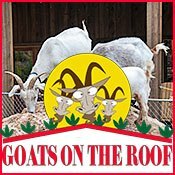 Goats on the Roof of the Smokies - is the goat-feeding-est, gem-mining-est, fudge-eating-est, ice-cream-licking-est, cool-gift-shopping-est attraction in Pigeon Forge! We're located right on Wears Valley Road, and we're impossible to miss. After all, we're the only Smoky Mountains attraction with live goats roaming around on the rooftop. 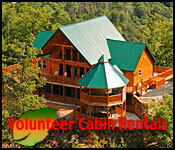 Volunteer Cabin Rentals - gives you almost 80 rental cabins, Pigeon Forge family fun, and fabulous mountain views near all the action. 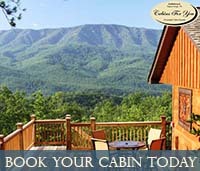 Offering cabins throughout Wears Valley which is just minutes from Pigeon Forge, TN. You get almost the same convenience of a cabin in Pigeon Forge but without all the noise of downtown. Take part in the excitement during the day and sit in a rocking chair on your deck and enjoy the peaceful evening in the valley. 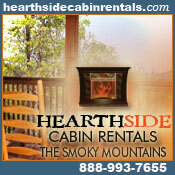 Some of the best cabins you will find in the Smoky Mountains. 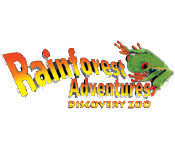 Come and visit us at Rip Roaring Adventures – in the Smoky Mountains. We have whitewater rafting trips on the Upper and Lower Pigeon River. Visit the website for more information. 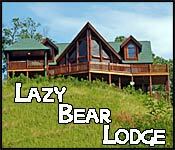 If unique is what you seek, the Lazy Bear Lodge is the vacation home for you! Be among the luckiest Smokey Mountain visitors to experience this newly-constructed, four-bedroom log cabin. Located in Wears Valley, just minutes from both Gatlinburg and Pigeon Forge, this secluded cabin offers awesome mountain views year-round. It is exquisitely furnished with a mixture of antiques and rustic Aspen Log furnishings. America's Cabins - Looking for the vacation rental of your dreams? America's Cabins has the Smoky Mountain cabin for you no matter what you are looking for. Known for our clean, comfortable and affordable cabins, we offer a wide variety of top of the line lodging options with Pool Tables, Air Hockey Tables, Foosball Tables, Electronic Dart Boards, Ping Pong Tables, Full Game Rooms, Jacuzzi Tubs, Saunas, Hot Tubs, Internet Access, Plasma and Large Screen TV's, Playstations, etc. 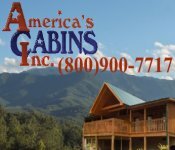 America's Cabins features beautiful brand new luxury cabins and chalets just minutes from downtown Gatlinburg, Pigeon Forge and Wears Valley, Tennessee. Best Western Crossroads Inn - Free WIFI, 24-hour front desk, exercise facility, and outdoor swimming pool are just a few of the amenities you'll find at an affordable price directly on the Parkway in downtown Gatlinburg. Excellent year round rates. Kids stay free! 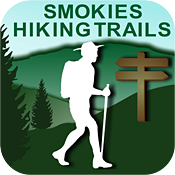 Smokies Hiking Trails - Browse all the trails in the Great Smoky Mountains National Park and find the one for you in these simplified guidebook app. A must for any park visitor, Smokies Hiking Trail gets you in the woods faster with ready-to-go information and zero lengthy descriptions. Save time on the trails with clear, concise maps show you the park entrances and hike locations so you can discover the trail heads closest to you. Looking for a certain type of hike? Wildflowers? Historic locations? With this app, you can locate points of interest seamlessly with an easy-to-use, intuitive search that lets you know exactly what kind of hike to expect and where to find it in the park. Plus, search trails by features such as waterfalls, scenic views, paved trails, length, campsites and much more. When you find one you love, save it to your favorites for easy reference. Now get out there and enjoy the mountains! Best Western Twin Islands Motel - Downtown Gatlinburg hotel adjacent to Ripleyís Aquarium and the main trolley depot. Peaceful setting directly on the Parkway surrounded by a 1/4-mile riverwalk and offering a playground, picnic pavilion, swimming pools & hot tub, free WIFI and kids stay free! 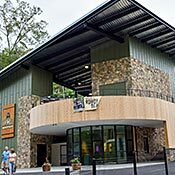 Hemlock Hills Gatlinburg Resort - Luxury Gatlinburg cabins rentals accommodating 2-38 people in the culture-filled Arts & Crafts Community. Three deluxe lodges rented together can host retreats, reunions and travel groups with up to 114 people. Game rooms, theater rooms, industrial kitchens, and extra large hot tubs offer plenty of fun and relaxation for all. 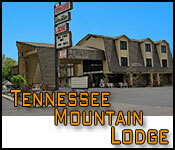 Rodeway Inn Skyland - Just 2 blocks from downtown Gatlinburg and affordable for every budget. Awesome views, complimentary breakfast and weekday newspaper, access to exercise facility, and king & queen rooms with private balconies. Discount coupon available online! SpringHill Suites by Marriott - Beautiful new hotel in Pigeon Forge with reception facilities and luxury accommodations in Queen & King Studio Suites for 3-5 people. Perfect off-Parkway location close to Dollywood, shopping, dining, and entertainment. Property features 2 swimming pools, outdoor hot tub, fitness center, complimentary breakfast buffet and high-speed internet access. Check back often for new vacation packages! 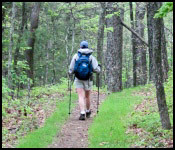 HikingintheSmokys.com is the most comprehensive source for free hiking trail information in Great Smoky Mountains National Park. Find trail descriptions, pictures, key features, videos, maps and elevation profiles for more than 70 trails in the Smokies. 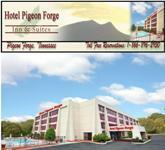 Stay at Hotel Pigeon Forge on the parkway across from Titanic Museum. View the Great Smokey Mountains from our 48ft. deck or our heated pool. 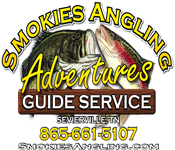 Smoky-Mountains-Fishing with Smokies Angling Adventures. Year round guided lake and river fishing. Fly fishing or boat, USCG licensed Captain. Day or night fishing. 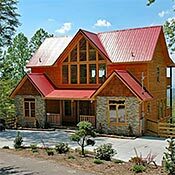 Smoky Mountain Cabin Rentals - Gatlinburg cabins, Pigeon Forge cabin rentals, honeymoon cabins, pet-friendly cabins... all nestled in and around the heart of Gatlinburg, Pigeon Forge, and the Great Smoky Mountains in Tennessee. If Gatlinburg or Pigeon Forge is your family's vacation destination, let Hearthside Cabin Rentals serve as your PERSONAL vacation planners. We want this to be your best vacation ever! Closer to Heaven Cabins - Traveling to Pigeon Forge? Book one of our luxury cabins in for the perfect getaway! If you’re looking for the best Smoky Mountain cabins, look no further. Offering tons of amenities including arcades, stunning mountain views, hot tubs, pool tables, air hockey tables, full kitchens and more. All of our cabins are gems…offering many unique attributes that you won’t find in other cabins. 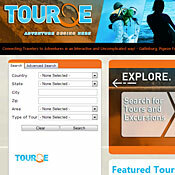 Explore TourQe.com and find the right adventure for you and your family by utilizing our incredibly easy search tool that allows you to search by cost, age range, duration and difficulty. Compare the tours through photos, videos and other reviews before you buy. Book online, and save on all tours! Share your experience with an online review and save on your next adventure! A+ Cabins, Inc. offers luxury log cabins as well as chalets. We own and manage ALL of our properties. Our cabins are SECLUDED or in a PRIVATE setting. They are all PROFESSIONALLY DECORATED and ROMANTIC. They also offer a lot of amenities at a GREAT PRICE! All of our properties have wireless Internet, Jacuzzi tubs, large hot tubs, game rooms, fully equipped kitchens, plasma TVs in every bedroom, living room and game room, ample parking and are very EASILY ACCESSIBLE. 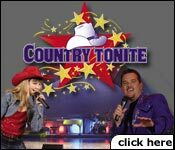 Information on things to do and see in the Smoky Mountains.